Today was the last day for the legislators to get together before the summer recess. They marked the occasion by voting for a piece of legislation that is supposed to ease the hardship of those who took out loans in foreign currencies. Nobody seems to be satisfied with the result, with the exception of Hungary’s prime minister, Viktor Orbán, who announced that “this was a historic day that may be the start of a new era…. The era of fair banks may follow.” The debtors find the assistance insufficient. The banks consider it unfair and unconstitutional. And the Hungarian currency, the forint, has been ailing as more and more details of the proposed legislation have become known. The loss the banks in Hungary face is at least $4 billion according to the estimates of Hungary’s central bank. Today OTP, Hungary’s largest lender, said it may have to refund borrowers $644 million, most of that sum due to the charge that banks were not transparent about unilateral changes to loan terms such as interest rate hikes and a smaller amount linked to exchange-rate margins. And this may not be the end of the banks’ troubles. 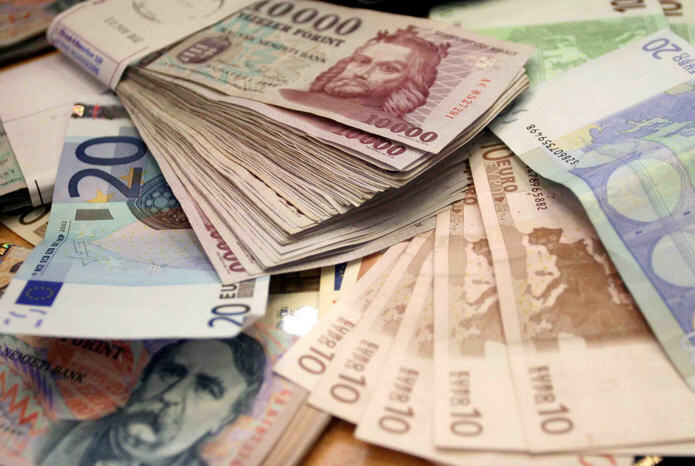 Antal Rogán, whip of the Fidesz caucus, indicated that later in the year the government plans to force the banks to convert their forex loans to loans denominated in forints at a below-market exchange rate. That could cost the lending institutions an additional $16 billion. The stock price of OTP dropped as much as 4% during the course of the day, closing down 1.7% on the day and 4.1% on the week. The share price of Austrian Erste Group Bank AG, the second biggest lender in the country, plunged 16% after it was revealed that its loss in 2014 might be as large as 1.6 billion euros ($2.2 billion) because of its poor performance in Hungary and Romania. The forex loan legislation passed with an overwhelming majority. There was only one dissenting vote and two abstentions. The former came from Gábor Fodor, the sole MP of the Hungarian Liberal Party, and the two abstentions from DK members. Fodor argues that the legislation “will cause serious economic troubles.” He is also convinced that the Supreme Court’s (Kúria) decision regarding the currency bid/ask spread and the practice of unilateral changes in contracts is unconstitutional. In addition, there is the problem of the statute of limitations, which the bill retroactively changed in a bizarre way. The clock will start counting down only after the loan has been paid in full. Naturally, the Banking Association (Bankszövetség) is up in arms. Taking advantage of the currency spread is an internationally accepted practice which covers the real cost to the banks. Like Fodor, the secretary of the association, Levente Kovács, considers the change in the statute of limitations unacceptable. He also objects to other retroactive changes incorporated into the legislation as “they violate the rule of law and cause uncertainty among investors.” He pointed out that the banking sector is one of the largest taxpayers in the country. The banks pay 220 billion forints yearly in taxes, and that does not include the extra tax levies they had to suffer in the last three years. The extra levies themselves amount to 1 trillion forints, which translates into 2 million forints per forex debtor. He predicted serious losses and, as a result, forced consolidation in the sector. Everybody suspects that the banks will go to court over the issue of unilateral contract changes. It is also almost certain that there will be court battles over the legality of converting foreign currency loans into forint loans at below-market rates. All this made no impression on Fidesz legislators. Antal Rogán claimed after the vote that parliament had at last meted out justice for the debtors and promised that within a few months all unfairly collected charges would be refunded. According to Rogán, the average debt holder may receive a refund of between 600,000 and 1 million forints before the end of the year. This promised windfall did not satisfy those foreign exchange debt holders who had earlier organized several groups to battle for their “rights.” One of these groups, Otthonvédelmi Tanács (Council of Home Defense), demonstrated in front of the parliament building this afternoon. Figuring that an average loan is 7 million forints, they now demand 5.9 million back because in their estimation that 7 million forint debt has since doubled. They claim that the bill just passed will decrease their debt by only 1.2 million, which is not enough. They charged the banks with fraud, and some of the signs demanded jail sentences for bank managers. Those who predicted court battles did not need to wait long. OTP shortly after the passing of the bill announced its decision to sue the government. And this is just the beginning. All this sounds like reasonable advice. Hungarian economists who are more and more critical of Viktor Orbán’s unorthodox economic policies have been saying the same thing for a number of years, to no avail. And it is unlikely that the Orbán government will heed the European Commission’s advice, especially their call to reduce the tax burden on the banks. Viktor Orbán immediately charged the European Commission with serving the interests of banks and multinational corporations when it threatens Hungary with the excessive deficit procedure. In addition to exorbitant tax levies banks also have to cope with the forex-loan problem. Prior to 2008, during the tenure of Zsigmond Járai, the Fidesz appointed governor of the central bank, the interest rate on loans denominated in forints was very high; therefore most people took out loans in foreign currencies, primarily in Swiss francs and in euros. It was a great deal while it lasted, but in the last four or five years the Hungarian forint weakened considerably against both of these currencies, placing a heavy burden on the debtors. 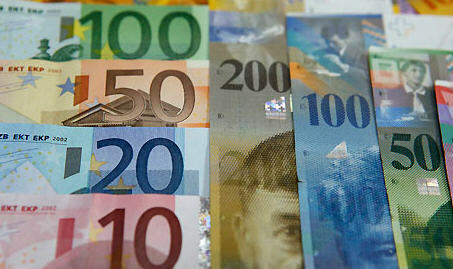 The Hungarian government decided to ease the hardship of those people with foreign-currency loans. With the bill that was recently approved by parliament, the Hungarian government seems to put most of the burden on the banks. According to some estimates this piece of legislation will cost the Hungarian banking sector $4.85 billion. Moreover, it looks as if the banks will have to convert foreign-currency loans to loans in forints. Over the past week or so the Hungarian forint has fallen from 305 to the euro to 312 today. This weakening stems primarily from the central bank’s cutting interest rates to what some consider “dangerous levels.” In the last two years the interest rate was lowered from 7% to 2.3%, and last week there was talk that the central bank is contemplating at least one further reduction. The forint’s decline only accelerated after the forex bill was submitted to parliament for discussion. The EU is raising the possibility of reinstating the excessive deficit procedure against Hungary in 2015 because of Hungary’s very high national debt, which has been growing instead of shrinking as the Orbán government promised. This growth is especially glaring if we consider that the government could have reduced the national debt by 10% if it had earmarked for that purpose all of the money it expropriated from the private pension funds of millions of Hungarians. Today there is not one red cent left from this pension money, and it’s unclear what new sources the government can tap to bring down the growing national debt. Reducing the national debt is especially difficult because the Orbán government is a profligate spender. They are especially keen on nationalizing private businesses. Moreover, beginning this year Hungary will have to pay interest on the 10 billion dollar loan from Russia although the actual building of the reactor will not begin for years. That will add considerably to the national debt. All in all, I am almost certain that the country’s finances are in a shambles. However, Mihály Varga excludes any possibility of any excessive deficit procedure (szó sincs túlzottdefecit-eljárásról). He admitted that “Hungary probably will have to introduce further financial consolidation in order to lower the national debt.” I will be curious to see who’s next on the hit list. The population hears only about the economic growth Hungary has achieved in the last few months and the higher GDP than earlier anticipated; they have no clue about how fragile the Hungarian economy really is. One could counter: “Well, just think how many times in the past four years critics of the Orbán government have predicted that the whole economic edifice Viktor Orbán and his right-hand man György Matolcsy built will collapse. And look, nothing of the sort happened.” Indeed, until now they were lucky, but how long will that luck last? There will be a day of reckoning, I believe. Mind you, they might manage to keep the country afloat just long enough to make the day of reckoning a problem for their successors. The Orbán government has given up the idea of solving the forex loan problem quickly and in one fell swoop. For a couple of weeks it looked as if Viktor Orbán was thinking of a radical solution that would have meant making the banks pay the difference between the exchange rate at the time of the issuance of the loan and the current exchange rate. This could have been a tremendous burden. Just to give you an an idea, if someone took out a loan in Swiss francs in 2008 he paid 143.83 forints for one Swiss franc. Today the exchange rate is 241.51 forints to one Swiss franc. The original idea was borrowed from the Croatian government’s decision a few weeks ago. There is, however, a huge difference in the number of people with forex mortgages in Croatia and Hungary. Apparently the “nuclear option” was abandoned because the government realized that the entire Hungarian banking sector could go under as a result. In no small measure Sándor Csányi was responsible for this change of heart or at least for the government’s realization of the possibly grave consequences of such a move. After all, he sold a large number of his OTP shares which by itself prompted some panicky follow-through on the Budapest stock exchange. By now most observers interpret his move as a warning to Viktor Orbán. This is what can happen, and on a much larger scale, if the government goes through with its plan. Those who don’t quite believe this scenario point out that no one knows how many OTP shares Csányi actually owns. A German source claims that what Csányi sold amounted to no more than 1% of his holdings. So, the argument goes, this shouldn’t have made a great impression on Viktor Orbán, who surely knows the details of Csányi’s finances. But Ferenc Gyurcsány, who was interviewed on the subject, dismissed this argument. Csányi’s sale of this allegedly tiny portion of his holdings was not itself a threat. But implicit in this sale was the threat that if the government goes through with its plans he may dump the other 99%, the consequences of which might be immeasurable. Gyurcsány knows Csányi only too well. When he was prime minister he had quite a bit to do with him because, after all, “he is a big player … with a tremendous amount of power.” In fact Gyurcsány agrees with János Lázár that Csányi and the other oligarchs have far too much power, which a prime minister must keep in check. He himself normally sent them away and told them that they cannot expect special treatment from him. He admitted that as a result his relationship with Csányi and the others was not the best. He didn’t sit with them with in the VIP section at soccer games spitting out sunflower seeds, a reference to Viktor Orbán’s not exactly elegant habit. As for János Lázár’s reference to Csányi as an octopus, apparently Orbán suggested that his chief of staff sit down for coffee with Csányi to smooth things over but Lázár ignored the suggestion. When Orbán inquired about the meeting, Lázár told the prime minister that he has no intention of ever apologizing to Csányi. Orbán didn’t press the issue. I guess by then he decided that Csányi didn’t really deserve an apology, especially since he learned that Gordon Bajnai’s foundation had received a small grant from him. I’m sure that this “sin” will not be forgotten by the vengeful Viktor Orbán. The relationship of Csányi, and the other oligarchs as well, with Orbán is complicated. For one thing, Csányi doesn’t seem to like him as a person. When Orbán was in opposition, Csányi often talked about him disparagingly in Gyurcsány’s presence. Admittedly, it is in the interest of these oligarchs to seek close relations with the powers that be. And yet if they feel that the government is working against their interests and that no amount of pressure will cause it to change its ways, they will not hesitate to abandon the prime minister and his party. Orbán cannot trust Csányi, Demján, and some of the others because they are not his men the way Lajos Simicska is. The behavior of Sándor Demján, who is up in arms about the nationalization of the credit unions, and Sándor Csányi seems to indicate that these oligarchs are fed up with the unpredictable, anti-business policies of the Orbán government. There is another aspect of the relationship between the oligarchs and Viktor Orbán that has received very little attention. One mustn’t forget, Gyurcsány said, that the Orbán family’s wealth puts him and his family among the top five richest families in Hungary. Orbán has cleverly hid his and his family’s wealth, but he cannot hide behind front men and legal tricks forever. One day he will be caught. He became an MP practically straight out of college and today he is a billionaire. He is using his position to enrich himself and his family. That is not only immoral, it is a crime. This interview took place with Olga Kálmán on ATV, and the reporter was visibly shaken by the news that the extended Orbán family may have become one of the five richest families in the country. Therefore she decided to follow up on the story. The next day she invited Mátyás Eörsi, a former SZDSZ MP and an old acquaintance of Viktor Orbán. Eörsi was also one of the members of a parliamentary committee that was supposed to find out how the former prime minister managed to acquire so many assets in a few years, allegedly from his modest salary. Unfortunately, creating these investigative committees in Hungary is a waste of time because they have practically no enforcement authority. They can’t even require witnesses to appear. This particular committee was just as useless as was, for example, the investigative committee on the sudden and unexpected decision of the first Orbán government to purchase Gripen fighter planes. Although the family’s enrichment was highly suspicious, the committee didn’t manage to pin anything on him. Olga Kálmán also took a good look at Orbán’s financial statements, the kind every MP must fill out yearly. These statements indicate that, especially given his five children, he could have led at best a modest middle-class life. Like Gyurcsány, Mátyás Eörsi is convinced that the Orbán family is among the richest in Hungary. In fact, he is pretty certain that way back in 1992 when Fidesz sold the half of a very valuable building it received from the Antall government, the whole amount landed in the Orbán family’s coffers, laundered through about twenty phony companies. These were the companies that were later sold to two phantom buyers for one forint each. Prior to becoming a member of parliament in 1990 Eörsi had a fairly lucrative legal practice. He didn’t start with nothing as Orbán did. Moreover, Eörsi’s parliamentary salary was a great deal higher than average. He claims based on his own experience that there is no way that Orbán could have saved enough money to buy the house he did after he lost the election. Eörsi as a lawyer is especially interested in the “legal techniques” by which Orbán manages to hide his immense wealth with the assistance of his front men. As long as he is prime minister he has no problem controlling whatever is being handled by others. But what techniques did he use to guarantee access to his wealth once he is out of office? One reason for Orbán’s many political successes is that his followers believe that he is a man of modest means who takes their side against the bankers, multinationals, and oligarchs. But what will happen if his people find out that their beloved prime minister is in fact one of those hated oligarchs? Judging from the comments, most readers of Hungarian Spectrum consider Sándor Csányi’s spectacular exit from the ranks of shareholders of OTP an event that overshadows all other news, including whatever the current opposition is doing. Perhaps in the long run the panic that took hold of Budapest yesterday following the precipitous fall in the stock price of Hungary’s largest bank might prove to be more significant than any purely political event. However, what happened at OTP cannot be separated from politics. By now we know that even before Csányi, the CEO of OTP, decided to sell his OTP stock worth about 26 million euros, some other high-level officials of the bank had already gotten rid of theirs. I assume they sold because of the probability that the government will “take care of the Forex loans one way or the other.” The exact way is still not entirely clear, but it is likely that the banks will again be the ones that will have to bear the financial burden of the “government assistance.” This rumor began to circulate about a week ago. Another political decision that most likely had an impact on the misfortunes of OTP was the government’s abrupt announcement of the “nationalization” of 104 credit unions privately owned but functioning under the umbrella of TakarékBank Zrt. TakarékBank and its credit unions are really the banks of the countryside. They are present in 1,000 smaller towns and villages, which means that they cover about a third of all Hungarian communities. One can learn more about TakarékBank here. One thing is important to know. TakarékBank was run by and with the consent of the individual owners and board members. Clearly, the state wants to take over the whole organization and most likely run it as a state bank. What is happening here is no less than highway robbery. As some people said, the last time something like this happened in Hungary was during the Rákosi period. Sándor Demján, chairman of TakarékBank’s board, swears that they will keep fighting all the way to Strasbourg to prove that what the Hungarian government is doing amounts to nationalization without any monetary compensation. If Orbán succeeds in the nationalization of TakarékBank, it might pose a serious threat to OTP. All in all, it’s no wonder that OTP officials didn’t think that their investment was safe. The alarm bell might sound in foreign banks as well (don’t forget that Orbán’s plans include a banking sector that is at least 50% Hungarian owned), and if that happens the whole banking sector might collapse. But I guess that would fit in with Orbán’s goal of tearing down all the carry-overs from the past and replacing them with his own original creations. Let’s return now to the interview Orbán gave to The Wall Street Journal. Some of his statements are just a regurgitation of what he said in his rambling speech to the foreign ministry officials about a week ago but this time in even stronger language. For example: “The future of Europe is Central Europe” and by “now we are once again part of [this] powerhouse.” He also repeated some of his often used lines about the nonexistent strides Hungary has made since he took over: the national debt is falling, foreign trade is rocketing, Hungary no longer needs “other people’s money,” unemployment is falling, and finally that when he took office only 1.8 million people paid taxes but now that number is “close to 4 million.” No one has any idea where Orbán got his figures about the number of taxpayers, but they bear no resemblance to reality. The interview is a rare self-portrait that could be the topic of another post, but here I would like to bring up two points. Yesterday when I left off I was talking about the opposition’s concern over the very low Hungarian birthrate, which is resulting in a steadily aging population. At the moment the Orbán government is discussing a scheme by which every woman over the age of 18 who gives birth to her first child would receive a sizable amount of money–the most often heard figure is 300,000 forints–in addition to a flexible scheduling of the subsidies already given to women after childbirth. 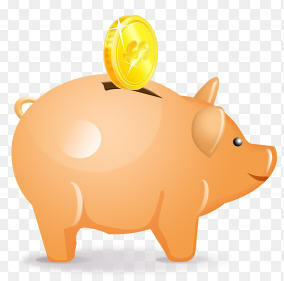 Most people don’t think that this scheme would make families rush to have children given the current economic situation. As I mentioned, the democratic opposition doesn’t have any better ideas on the subject except that they want to put an end to the current unfair distinction between legally married and unmarried couples who have children. In addition, they promise to put an end to child hunger. Naturally, they pay a great deal of attention to the welfare of the large population over the age of 65. They promise not only to raise pensions to match the rate of inflation; they also plan to reintroduce a “premium” that would be indexed to economic growth. They make a renewed promise of free public transportation to everyone over the age of 65. They would also again allow pensioners to work while drawing their pensions and would allow people to work beyond the retirement age. Out of these promises the only one I object to is free public transportation for everybody over the age of 65. I think that forcible retirement is untenable in a democratic society and that in certain professions it is outright injurious to the public interest. 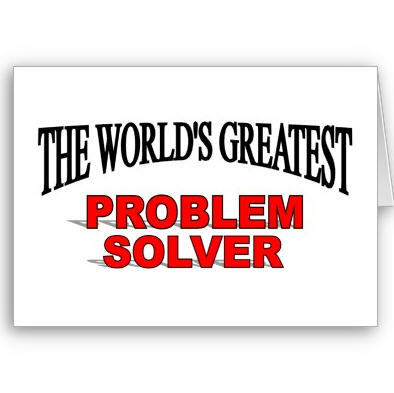 I am thinking of judges and university professors, for example. The next topic of the provisional party program is healthcare, and I must say that it is one of the weakest points of the program. Here we have only vague generalities. I understand, however, from a television interview that the hospitals would remain in state hands and that the new government would stick with a single centralized state insurance system. Only yesterday I was listening to an interview with Erzsébet Pusztai (earlier MDF, now a member of Lajos Bokros’s conservative party) who was won over to the idea of privatizing healthcare. What does she mean by that? Basically, that doctors would be the owners of their own practices. Having doctors as state employees guarantees failure, she contends. I tend to agree with her. Therefore I don’t expect any great positive change in the quality of Hungarian healthcare as a result of a change of government. In the first place there is no money to raise salaries and, even if they did, the problem lies not only with low salaries but with attitudes. Naturally, the democratic opposition wants to put an end to the Kulturkampf introduced by the Orbán government and they make all sorts of promises of state subsidies to make culture readily available. As for the state of the media and the media law, which they surely want to change, they said nothing about MTV, MR, and Duna TV. I’m afraid that these organizations would need a complete change of personnel; otherwise the new government will end up with a far-right state media of low quality. The Internet wasn’t left off the list either. They promise to pay special attention to making broadband available everywhere in the country and to encourage Internet usage and computer literacy. These two parties at least don’t want to take away the voting rights of the new Hungarian citizens from Romania, Ukraine, and Serbia. The reason I didn’t include Slovakia here is that Slovakia introduced legislation that forbids dual citizenship and therefore there were very few people who applied for Hungarian citizenship and, if they did, it was in secret. I personally wouldn’t support that right and from what I read on the subject a lot of people would vote along with me on that issue. The document does make special mention of the democratic forces’ opposition “to the use of the Hungarian minorities in the neighboring countries as instruments of Hungarian political parties,” but as long as voting rights are ensured there is no way of preventing party politics from spilling over the borders. On that issue, I’m with Ferenc Gyurcsány’s Demokratikus Koalíció. Finally, the democratic opposition pledges its support of European values and Euro-Atlantic cooperation. They realize the changing nature of the European Union, but Hungarian national interests must be protected in cooperation with and not against the European Union. Hungary wants to be a partner in the building of a stronger and better European Union. Commentators, on the whole, responded positively to the beneficial effects of the joint declarations and the parties’ willingness to work together. Most of them think that once the first step toward an electoral alliance is taken the number of undecided voters will drop and support for the opposition will increase. In addition to this document the opposition came out with another one that deals with the nomination of MP candidates. I will spend some time on that document in the future, but until then suffice it to say that this particular document pretty well ensures that there will be a single common party list, which is an absolute prerequisite for any success against Fidesz at the next election. Breaking News: Sándor Csányi, CEO of OTP, the largest Hungarian bank and the premier holder of Forex mortgages, dumped almost 2 million shares yesterday, allegedly to invest in his other businesses. OTP stock has been under pressure recently as a result of rumors about a new government scheme to help the approximately 100,000 people who are currently incapable of repaying their Forex loans. This generous assistance would come at the expense of the banks. Since details of the plan are unavailable, we don’t know how large a haircut the banks would have to take, but the hit might be substantial. I guess that Csányi, who by the way has been a big supporter of the prime minister, decided to bail while he still had some equity left. In the wake of his mega-sale (and I assume that sooner or later we’ll find out who was on the other side of that block trade–again, rumors are flying), OTP stock lost about 9% today.